Do we really believe the words of the Bible or has our tradition made it difficult to hear the text of Scripture without the interfering voices of later tradition? There is the constant danger for us believers that the words of the Bible can be drowned out by the clamorous and sometimes threatening words of ecclesiastical teaching, which mostly goes unexamined. At stake here is the whole nature of the Saviour. Is he really a human being, or did he have the benefit of billions of years of conscious existence before deciding to become a man? Is this latter picture anything more than a legendary addition to Apostolic faith? Titlepage of the New Testament section of a German Luther Bible, printed in 1769. The Son of God, Messiah and Saviour, is defined in precise theological terms by Gabriel, laying the foundation of the whole New Testament and fulfilling the promises of the Old. Christians should unite around that clear portrait of Jesus presented by Gabriel. Jesus is the Son of God on one basis only, his miraculous coming into existence in Mary’s womb. This was God’s creative act, initiating His new creation and providing the model of Christian Sonship for us all. Though obviously we are not, like Jesus, brought into existence supernaturally, nevertheless we, like him, are to receive a supernatural birth from spirit by being born again under the influence of the Gospel (Galatians 3:2; Ephesians 1:13, 14; Romans 10:17; Matthew 13:19; Luke 8:11, 12; 1 Peter 1:23-25; James 1:18). The “divine” nature of Jesus has no other foundation than the stupendous miracle granted to Mary and to humanity. A Jesus who claims to be Son of God for any other reason should be rejected. A natural son of Joseph cannot qualify as the Messiah, nor can a person whose existence did not originate in his mother’s womb by a divine creative miracle. From chapter 31 and 32 we could see that we do not have an incarnation from God into a human body, called Jesus, in the human Mary. And that coming out of the womb, coming into birth we got a human body which grew up, by eating and drinking, to come to an end by being put on the tree or on a piece of wood, afterwards he was liberated from that death by his Father. You could call it inhuman that Jesus his flesh did not see corruption, but that happened by the force of God again. As he was given life by God the first time and it was taken out by humans, God gave him life again as an example what can happen to us as well. All humans shall be able to become resurrected in the hope of their fellow brother or fellow human Christ Jesus. The constitution of Jesus as the unique Son of God is given its basis by the superb words of Gabriel in Luke 1:35. This definition of the Messiah, Son of God, should be allowed to stand. It was later, post-biblical tradition which interfered with the definitive, revealing statement of Gabriel. 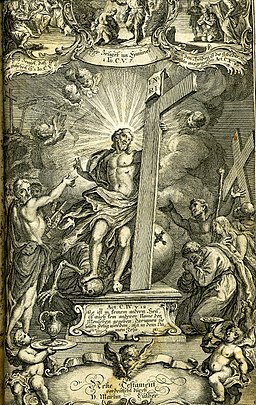 Once Jesus was turned into a pre-existing Son of God who gave up one conscious existence for another, Christology immediately became problematic (as witnessed by the centuries of disputes, excommunications, and fierce dogmatic decisions of Church Councils). A Son of God who is already Son of God before his conception in his mother is a personage essentially non-human. Under that revised scheme what came into existence in Mary was not the Son of God at all, but a created human nature added to an already existing Person. But Gabriel describes the creation of the Son of God himself, not the creation of a human nature added to an already existing Son. The two models are quite different.